Install ML OS X on MBP with 2 drives. Discussion in 'OS X Mountain Lion (10.8)' started by sambuev, Aug 11, 2012. 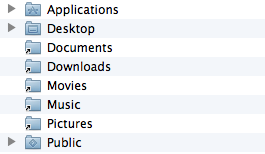 Hello, I have one SSD drive from Apple and second drive (optibay 750GB) and I have symbolic links. to second drive and I want to install ML but I scared to do it, because what if something will go wrong and it won't understand these links? Undo the links -> Install ML -> Remake the links.